Twirl Bridal Boutique is seeking a fashion-forward and highly motivated Bridal Sales Intern to work hand in hand with brides-to-be and their entourage to ensure their wedding day is everything they dreamed it would be. As a Bridal Sales Intern you will build relationships with brides and guide them in their style selections while keeping a focus on personal and company sales goals. The position requires availability May-August. Exhibiting a warm and professional attitude while providing exceptional customer service to all customers. 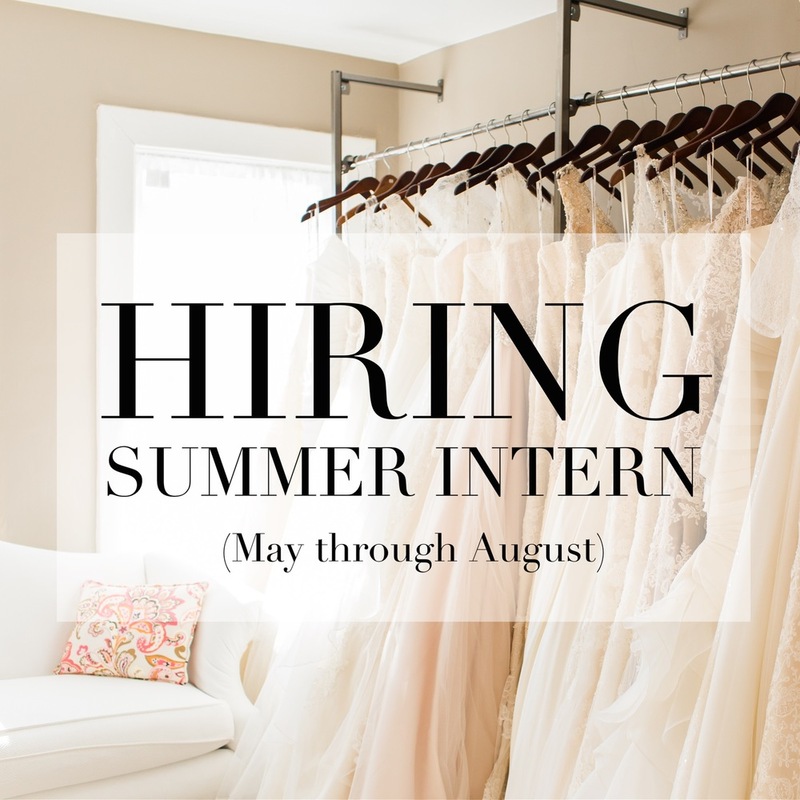 As a Bridal Sales Intern, you will work hand in hand with our team towards goals set by the Store Manager. You will also maintain the overall appearance of the sales floor, dressing rooms and other areas that customers can see as well as processing orders as they arrive at the store to be picked up by the bride and her bridal party. Please email resume, cover letter and availability times to ty@twirllexington.com by March 30.